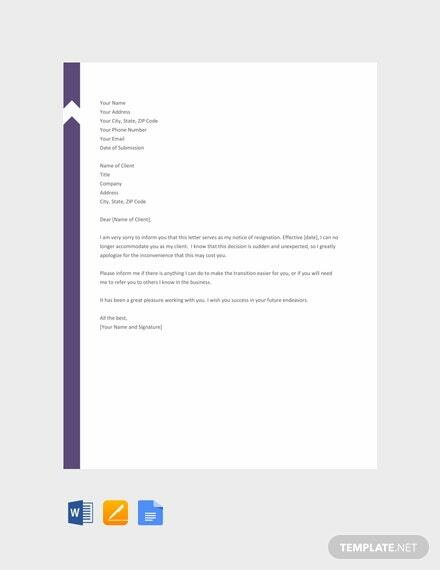 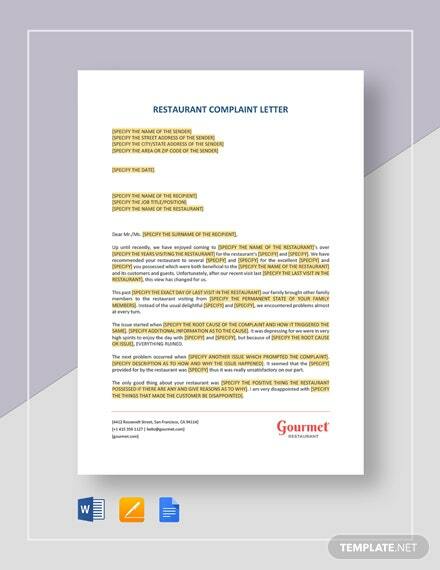 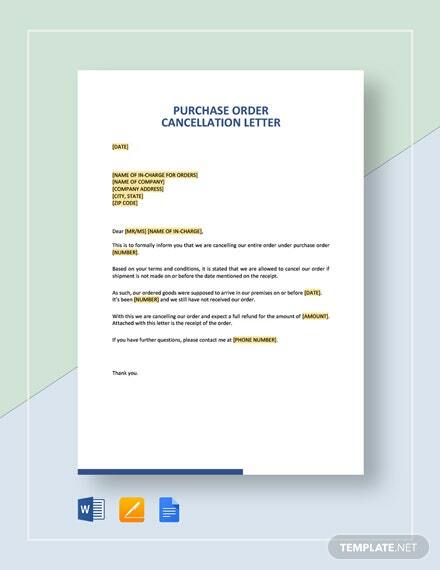 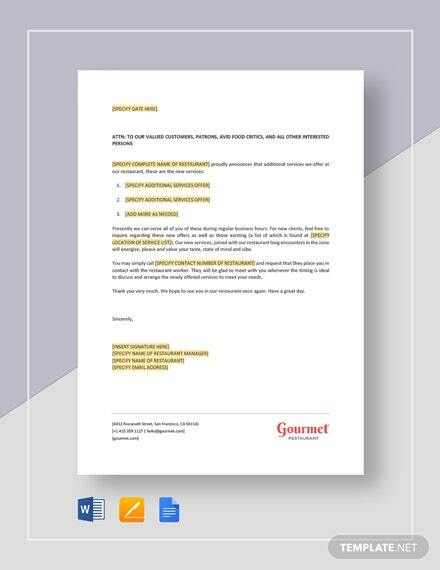 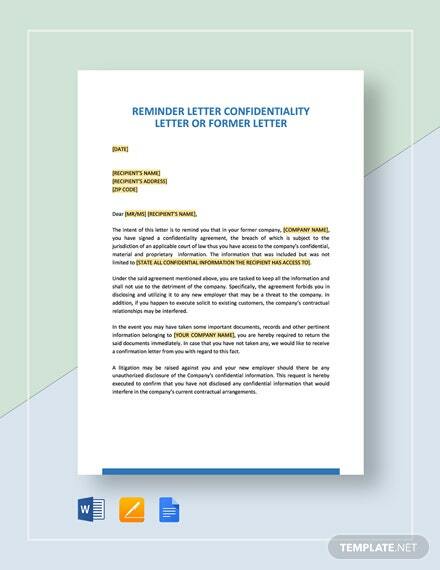 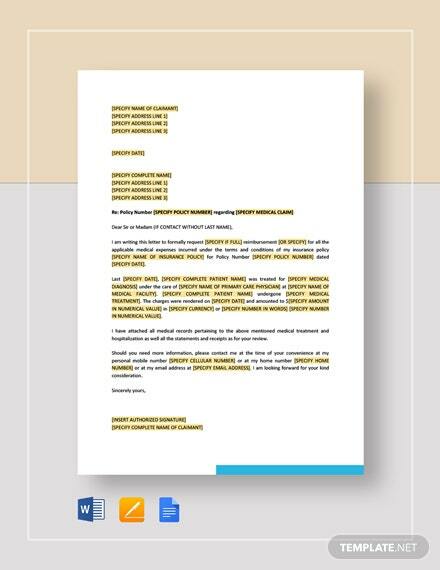 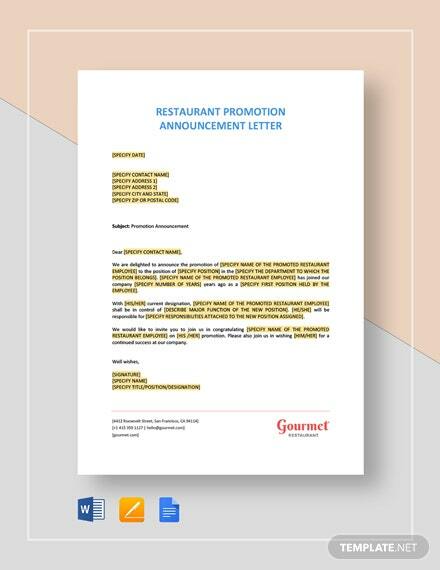 A well formatted letter template that you can download for free. 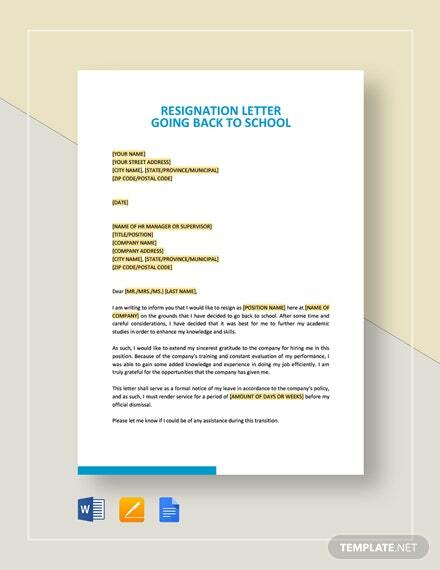 Use this to craft a letter of resignation that you are addressing to your client. 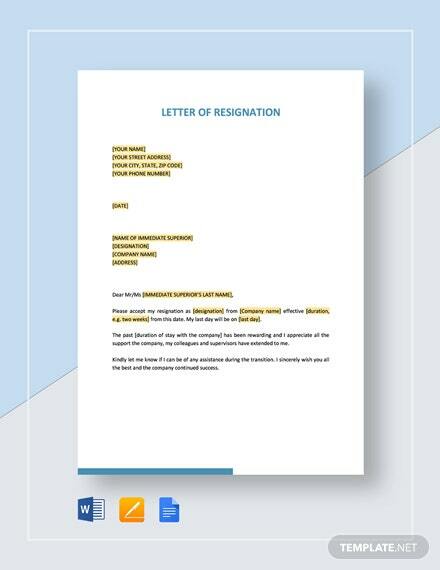 Printable and easy to edit in multiple +More formats.